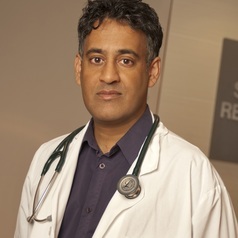 Dr. Ravi Retnakaran is an associate member at the Lunenfeld-Tanenbaum Research Institute and endocrinologist at Mount Sinai Hospital’s Leadership Sinai Centre for Diabetes. His clinical research program focuses on the early pathophysiology of type 2 diabetes and cardiovascular disease. He has a particular interest in the concept that a woman’s gluco-regulatory response to the metabolic challenge posed by pregnancy can provide unique insight into her future risk of type 2 diabetes and cardiovascular disease.